Indonesia consists of numerous provinces and all of them are unique. Located in the east part of the nation, East Nusa Tenggara Province has become one of the best vacation destinations especially for those who look for mesmerizing natural attractions and unique local traditions. The name of the capital is Kupang City and it even features an international airport! No wonder, the province is quite famous among foreign tourists as well. The next interesting feature of the region is the presence of famous woven fabric for tourists to buy when visiting the region. 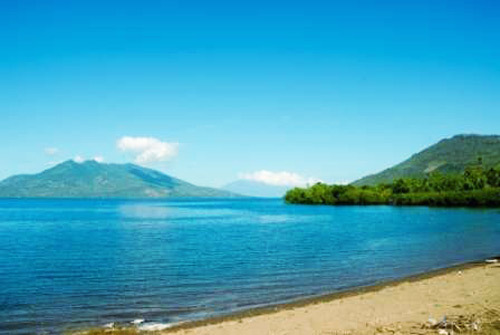 East Nusa Tenggara Province consists of hundreds of island, which are about 550 of them! However, most tourists only recognize three major islands called Flores, Sumba, and Timor. No wonder, people also give another name to the region which is Flobamora (the combination of Flores, Sumba, and Timor). Due to the high number of islands, tourists may find various traditions and natural attractions there. As if they have unlimited places to explore during holidays! Have no worries. The region offers an excellent transportation service to tourists including boats, planes, etc. That means it would be easy to explore and get around the region regardless of the destination. The first recognizable potential of East Nusa Tenggara Province is definitely its natural beauty. Many natural attractions are available for tourists to explore especially the beaches! That means tourists can spend beautiful holidays in those places either with friends or families. Moreover, the options are just too many so it takes much time to explore those all. Not only they can enjoy beach walking, they are able to do other fun things like snorkeling, exploration, and photography. What is next? East Nusa Tenggara Province is also famous for its unique culture. That means tourists can see numerous locals’ traditions including dances and houses. As for the houses, the most popular one perhaps is Saoata Musalakitana. It is used by important people of the region like the leader of the village, actually. Aside from the traditional house, tourists should find out about the traditional clothes of the locals with their unique ornaments and color! What about the dances? Three famous traditional dances are available for tourists to watch including Perang, Gareng Lameng, and Lendo Nusa Malole Dance. During a visit in East Nusa Tenggara Province, it would be a waste if tourists do not try delicious local foods like Kolo, Catemak, Bose, Se’I, spicy anchovies, and many others. The good thing is that those foods are quite affordable and easy to find! From the capital of Indonesia (Jakarta City), tourists can take an airplane from Soekarno – Hatta International Airport to El Tari Airport of Kupang City. This flight takes approximately 2 hours and 55 minutes, actually. Once arriving at East Nusa Tenggara Province, they can start exploring the region using any available transportation services.